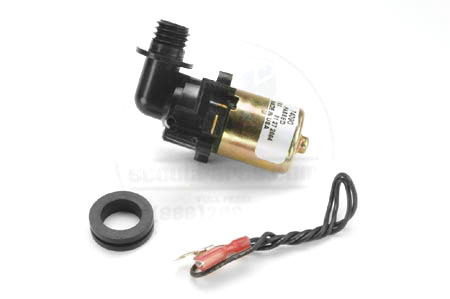 We have brand new window washer pumps for the bottles on Scout II, pickups, and Travelalls. These may fit Metros too. These fit the plastic bottles, but will also fit the plastic washer bags used on the 1969 and 1970 D-series pickups and Travelalls. These fit the factory wiring. These do not replace the fender-mounted pumps used on 1968 and earlier vehicles. For those, see our universal kit SP10614.